According to the most recent National Association of Realtors® report, 2016 was the best year in a decade for home sales. Nationwide, there were 5.45 million resale homes sold, the highest number since 2006 when 6.48 million homes sold. We saw the same reflected locally. In the Wilmington area, 8,843 homes sold, the highest number since 2005 when 9,347 homes were purchased. For 2017, we’re already seeing higher contract numbers than the beginning of 2016. In our company alone, year-to-date contracts are up 23% and volume is up 30%. In Wilmington (not including the beaches or anywhere else in New Hanover County), there have been 474 homes sold year-to-date with the average sales price of $259,968. The average home spent 79 days on the market and had 3 bedrooms, 2.5 baths (rounded), and 1,910 square-feet of living space. We’re currently seeing low inventory and multiple-offer situations, so it’s important to also take a look at which homes are getting shown to get an idea of where the current market is heading. 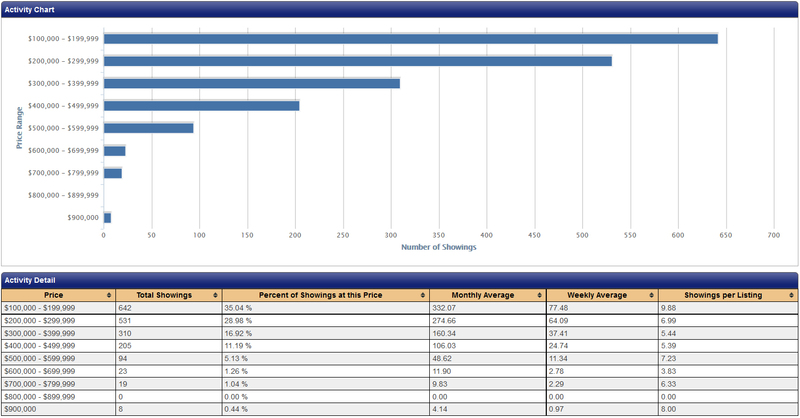 This data is taken directly from our centralized showing service and is for Wilmington only. If you’d like to see data on another city, town, or community, give us a call or send us a message through our Contact page. We’re happy to help you with all your real estate needs!